Northumberland is home to many award-winning heritage attractions and places to visit, all of which are perfect for a fun day trip out! Here at Green Mountain Travel, we travel around and across Northumberland a lot, whether is a school or business trip. Therefore, we thought we would share with you some of the best places to explore in Northumberland to inspire your summer days out. One of Northumberland’s many hidden delights, the Cheviot Hills should definitely be on your travel list this summer. With a dramatic waterfall of Linhope Spout, and tucked away ponds of the Wooler Common – you can see it all! A great place to walk along the border of two countries as you take in the Border Ridge and Pennine Way, while also being able to trek to the highest point of the Cheviots. Within the Northumberland National Park, there are many places to stop for a bite to eat and something to drink, making it the perfect destination for school trips. Hadrians Wall is one of the more accessible places to visit in Northumberland and it is also one of England’s greatest landmarks. If you’re wanting to learn more about Roman history then this is the place for you! Take in the stunning landscape and views when walking alongside the wall that’s surrounded by countryside. And despite the name, it is not just a wall! There is much more to be explored, such as Roman forts, archaeological sites and also museums. Visiting Alnwick Gardens is a great day out and we thoroughly recommend it, with the largest wooden treehouse in the world 18 meters above the ground it really is not to be missed! There is always something different in bloom at Alnwick Gardens – therefore it doesn’t matter when you visit, there will always be something different to catch your eye. 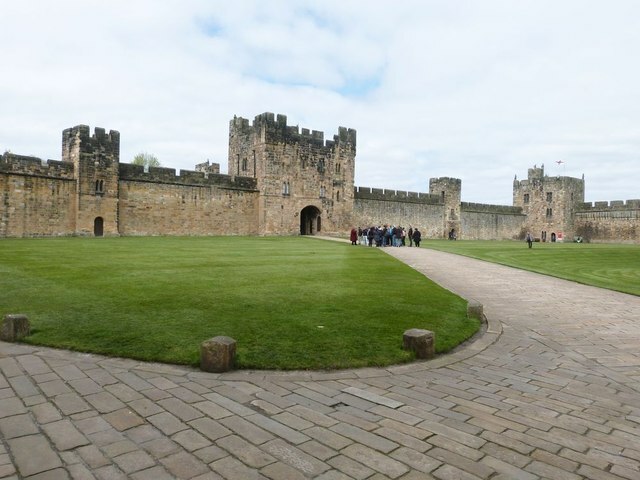 Alnwick Castle is always a great place to visit for the day, it is known as one of Britain’s most iconic castles, with plenty of events and historical tours. At Green Mountain Travel, we understand that planning school or business trips can be stressful. We take the safety aspect of this very serious and continuously do our utmost to ensure the correct paperwork and safety measures are in place. Our coach drivers are DBS checked and all our coaches undergo regular safety checks by experienced engineers. Whether you want to visit your favourite heritage sites or check out one of the ones we mentioned above with your friends or family, our coaches are suitable for all groups! Contact us for your next day excursion and we can provide a quote with our best rates and guaranteed a fun but safe day trip.